Those little sandals are so cute! 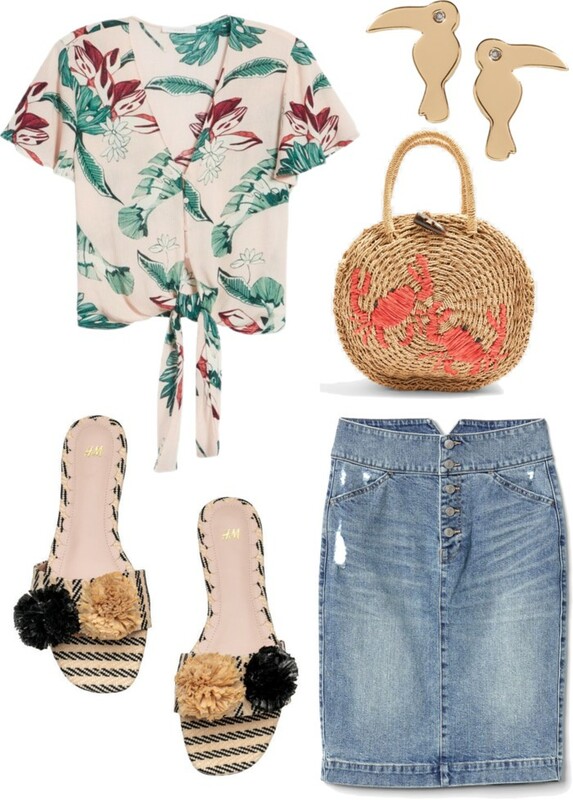 Great finds and I love that straw bag! Ooh that floral top is so pretty! Aw those earrings are adorable! I did NOT know about the denim in the GAP sale! Thanks! I hope your power wasn't out for too long (and of course you're in full summer dressing mode!). I have a very old chocolate cake recipe that my mom passed on to me. No clue where it originated but it's never failed me. I wish I had a good chocolate cake recipe! I'll have to check out Ina Garten's! Love your picks this week! That straw bag is so cute! cute Finds! For cake, I am usually scrambling through Pinterest to find a good recipe lol good luck! My fave is are the H&M flats ! Oh, yikes on the power outage... in the winter that's a real issue. Happy birthday to your mom! I haven't made Ina's chocolate cake, but her recipes rarely let me down. I'm usually the only one in my family that wants chocolate cake, and if I'm making it for myself I want a flourless one--they just taste so rich and indulgent to me. I love your summery picks! Oh that top and denim skirt would go so nicely together! How crazy you lost power. I'm glad it's back now! :) We've had some wild weather here but so far we haven't had our power knocked out. Have seen plenty of power lines being repaired around the area though. I haven't worn a jean skirt in about a zillion years, but man is that one cute. I'm honestly heading over to gap.com know and ordering that little lady. I am kind of obsessed! Great round-up! Thanks goodness you had no heat for only one night. During Winter, eek I can only imagine how cold it got! Really really love this outfit you picked out. Actually I am obsessed. Seriously! The top and skirt together is so cute! Let's just talk about how spring must be on your mind.....everything is so fun!! Great picks! I really love that bag, and those fun sandals! Love the summery pieces. That knot front shirt is cute! Happy belated birthday to your mom! Ruth Reichl's chocolate cake recipe is also quite lovely and I mostly use it. It's all about the cream cheese frosting! Cute finds! I love Ina Garten recipes, but Life, Love Sugar also has some delicious desserts! Lovely picks dear. Those sandals are sooo pretty!